A Feather board without ambition is a Feather board without FeatherWings! 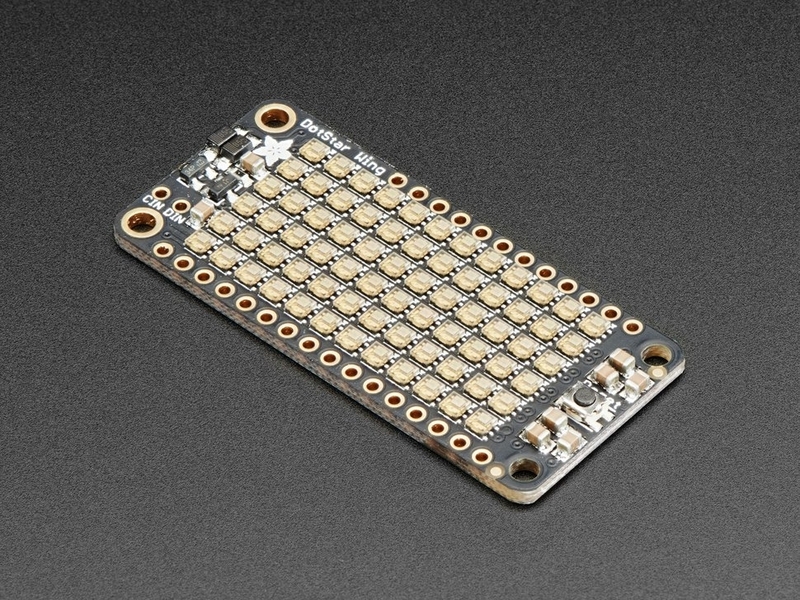 This is the DotStar FeatherWing, a 6x12 RGB LED Add-on For All Feather Boards! Using our Feather Stacking Headers or Feather Female Headers you can connect a FeatherWing on top or bottom of your Feather board and make your Feather board strut like a peacock at a rave. To make it easy to start, the LEDs are by default powered from either the USB power line or Battery power line, whichever is higher. 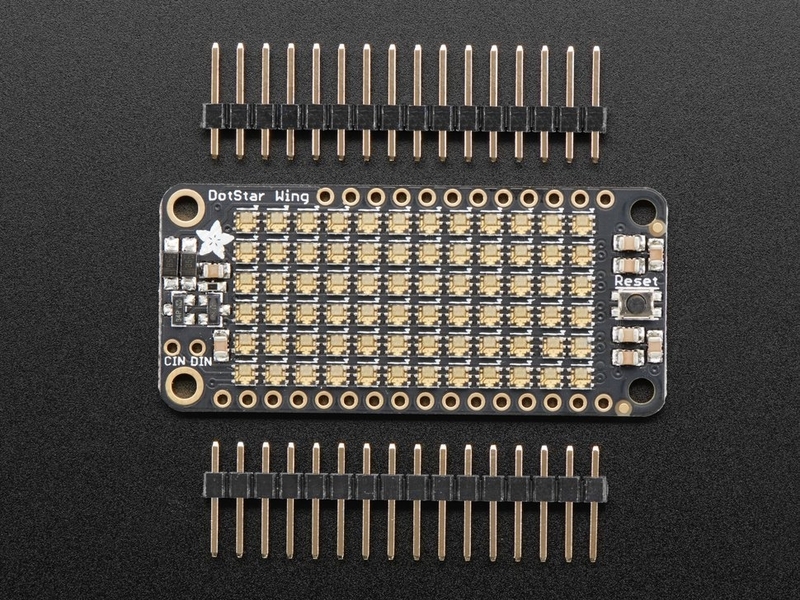 Two Schottky diodes are used to switch between the two. This power arrangement is able to handle 1 Amp of constant current draw and maybe 2A peak, so not a good way to make a flashlight. It's better for colorful effects. 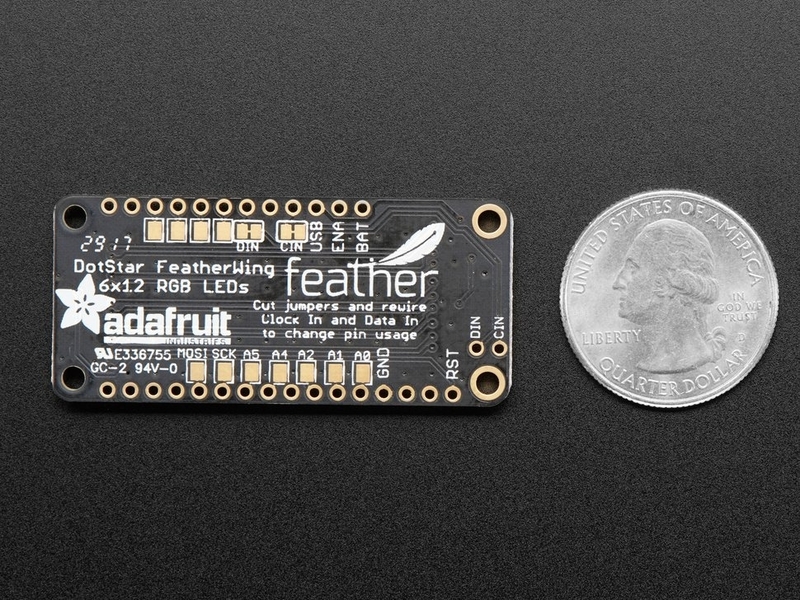 A power MOSFET is set up and connected to the ENABLE pin on the Feather so that when the Feather is disabled, the wing will also cut power. For more info on DotStar LEDs, including code examples and power calculations, check our our detailed learning guide!